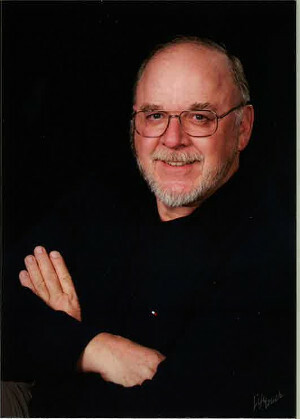 Richard Q. Gilmore, PE, Silver Lake Water and Sewer District, has been selected as the recipient of the 2016 Government Engineer of the Year Award in recognition of his many contributions to improving the region’s water and wastewater infrastructure while serving as the Supervisor of Technical Services for the Federal Way Water and Sewer District and later as the District Engineer for the Silver Lake Water and Sewer District. He has been a leader in retrofitting existing facilities to increase capacities and incorporate new technologies for operational and safety enhancements. He is responsible for reviewing plans for new construction and working with developers to create projects that meet development standards and minimize operational difficulties. Significant projects have been completed to accommodate a doubling of the number of utility system connections including retrofit and increased pump capacity at three major lift stations; the complete stripping, recoating; and structural improvements of a 4.5-million gallon reservoir; and the design and construction of a new 8-million gallon reservoir with a booster station. He promoted coordination with adjacent water purveyors to establish master meter interties that provide system hydraulic capacity improvements that allow elimination of planned and more expensive cross district transmission mains. He promoted the installation of continuous water quality monitoring on all reservoirs and systems master meters to verify the quality of water delivered to customers. As a result, water quality data is continuously available for operational feedback. He has been a leader in the adoption of electronic plans of utility systems and major components to provide better base documents for developer engineers. Because operational utility systems are critical in the event of a natural disaster, he has actively participated in the development of the Snohomish County Natural Hazard Mitigation plan.